Head to the skies to take in some stunning scenery for this trail run series. Each distance takes you across the mountain tops of Victoria's high country with views of rivers and tracks. Come along for the finisher's medal and don't forget your camera. Join in the 10th running run of one of Victorias classic alpine runs, 3 distances 45/36/22 km covering superb scenery taking in the beautiful Delatite River, the historic Klingsporn Track, majestic Mt Buller, Mt Stirling and the historic Craigs Hut. Take in views across to some of Victorias great alpine scenery, the Crosscut saw Mt Speculation, Mt Buggery, Hells Window and Mt Magdala. Set in the heart of Victorias high country the Mount Buller Skyrun is one of the most amazing high altitudes runs that Australia has to offer. 36 km mid-distance course from Mount Buller to Mount Stirling and then a quad busting descent to the Delatite River before a gut-wrenching 1200 m climb to the summit of Mount Buller. ...all up an exhilarating day trip from Melbourne. All runners (that includes those doing the 22 km—so please do not ask again), must carry with them as a minimum the following safety equipment. The reason for this is if someone were to injure themselves out on the trail, they may need to either walk out or wait a couple of hours for medical assistance. Personal First aid requirements: bandaids, antiseptic, painkillers etc. Feel free to come and support! If you would like to volunteer, or want to know more, please contact the race organiser. Include any information about how you would like to help. How was Mount Buller Skyrun? Is there a time limit that you have to complete the race in? For example, would it take too long if I ran half and walked half? Hi there. There are two cut offs for the 45km: 1:00 P.M. at Mirimbah Park, and 3:00 P.M. at Northside Express - please bear these in mind! There are further details regarding the cut off, including the course map, on our event page. Please reach out to [email protected] if there's anything else we can help with! Run the Prom. Wilsons Promontory National Park offers, Australias most spectacular coastal ultra. Experience the sound of waves crashing on rocks, feel the sand under your feet, the wind in your hair and the water up to your waist as you tackle this wilderness paradise. 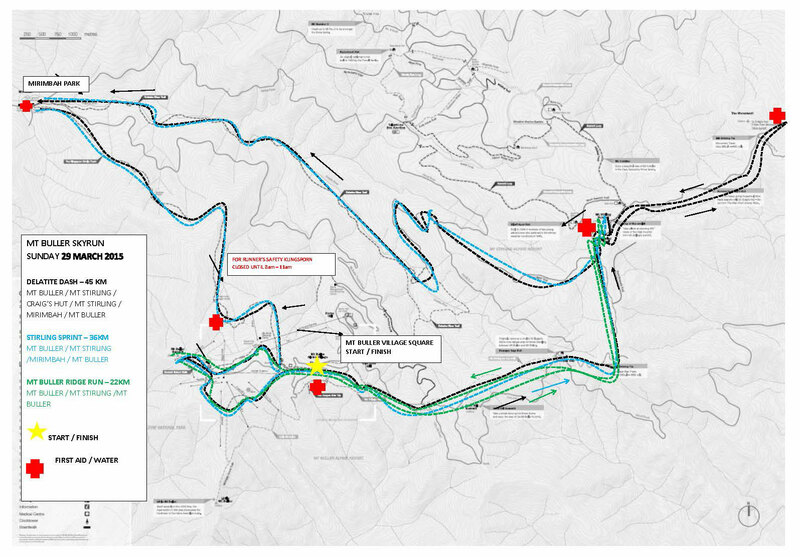 The Prom 100 offers runners 44, 60 and 100 km run loops only 3.5 hours from Melbourne. Wilsons Promontory National Park offers brilliant opportunities for those of all standards. The Darby River trail is a fantastic intro into trail-running while the awesome scenery gives those more experienced runners the type of trail they crave. And only 3 hours from Melbourne its easily accessible.